Whether you are just starting out, or are looking to further your skills, there are courses to match your requirements. 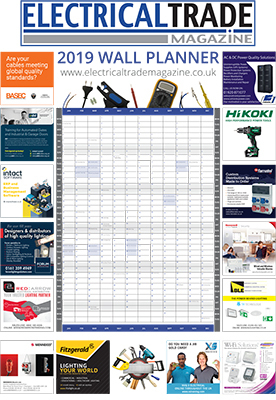 From Basic Electrical which is aimed at anyone who may have minor electrical tasks related to their work, to CompEx which delivers competence based training for those that work in explosive atmospheres, and the full City & Guilds electrical series. 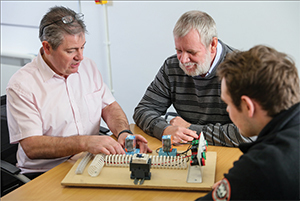 With the first major update to the wiring regulations in ten years issued on 2nd July 2018, the training department is now delivering two City & Guilds 2382-18 courses across the UK, suitable for all electrical engineers depending on level of experience. This full 3-day course is primarily aimed at electrical tradespersons and managers to introduce them to the regulations and make them aware of the changes and the implications to design and installation practices. This 1-day update course specifically focuses on the amendments from the previous edition of the regulations and is recommended for those who have completed 17th Edition Amd 3, or for those who have a good working knowledge of the regs. Both courses build to the same 2-hour open book examination, meaning the course you choose comes down to your level of experience and how confident you are with the current regulations. Lynsey Partlow, Electrical Compliance and Training Manager said: “The 18th edition will have a direct impact on making installations safer and reflects the advances in technology as industry demands. The new regulations come into force on 1st January 2019, giving engineers 4 months now to get up to speed. To book your course with Centrica Business Solutions and for more information, visit https://centricabusinesssolutions-electrical.com/ or call 0800 980 8150. Centrica Business Solutions provide training at approved centres across the UK, including Rotherham, Salford, Birmingham, Sevenoaks, Newbury and Glasgow. Onsite options are also available.